Shots and Thoughts: Latest Photos by Dave Wolanski: Christmas Card? It was foggy and frosty here the other day when I did this photo. 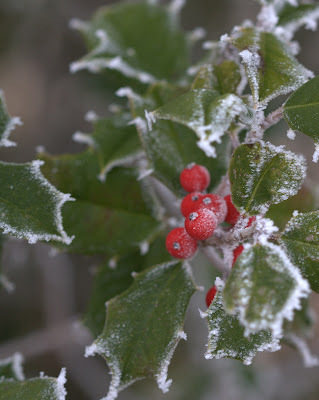 I liked how the frost had formed on these leaves and berries.